This course introduces the techniques of Beaux-Arts wash rendering. 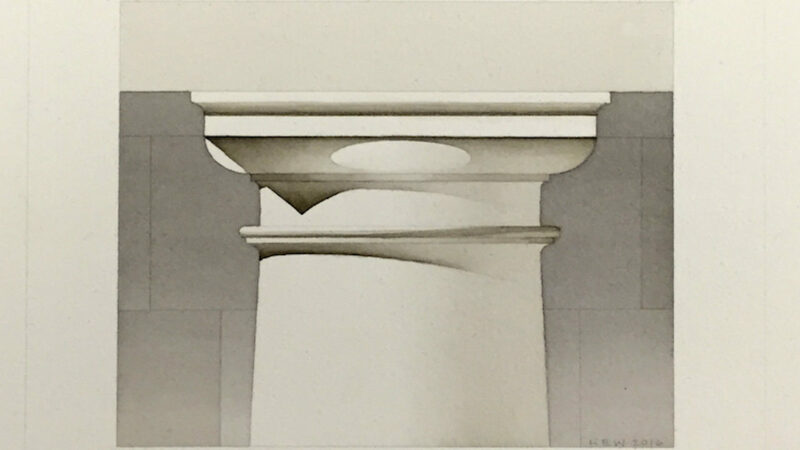 Students will begin by learning the basic skills needed to produce a traditional ink wash rendering of a classical elevation. They will then develop an understanding of the qualities and characteristics of light, shade, shadow, and reflected light, as well as a sensibility for how architectural geometries, forms, planes, and profiles modulate light and shade and subsequently render form apparent. This course is designed to increase students’ command of the formal possibilities of space, mass, form, and profile. To register for a continuing education course hosted by the ICAA National Office, you can use the registration link noted on the program page, email [email protected], or call 212-730-9646 x111. ICAA Chapters manage course registration for their own events. While Chapter programs may be listed on classicist.org, you should check the Chapter website, or contact the Chapter directly, for the most up-to-date details including dates, times, pricing, and information on how to register.